Here’s a collection of images from the historic final launch of space shuttle Discovery on February 24, 2011. Discovery's final launch. Credit: Alan Walters (awaltersphoto.com) for Universe Today. Just after SRB light. Credit: Alan Walters (awaltersphoto.com) for Universe Today. Discovery just after liftoff. Credit: Alan Walters (awaltersphoto.com) for Universe Today. NASA management watch the launch of space shuttle Discovery (STS-133) from the firing room at Kennedy Space Center, Thursday, Feb. 24, 2011, in Cape Canaveral, Fla. Credit: NASA/Bill Ingalls. STS-133 launch. Credit: Alan Walters (awaltersphoto.com) for Universe Today. The STS-133 crew walks out to head to the launchpad. Credit: Alan Walters (awaltersphoto.com) for Universe Today. 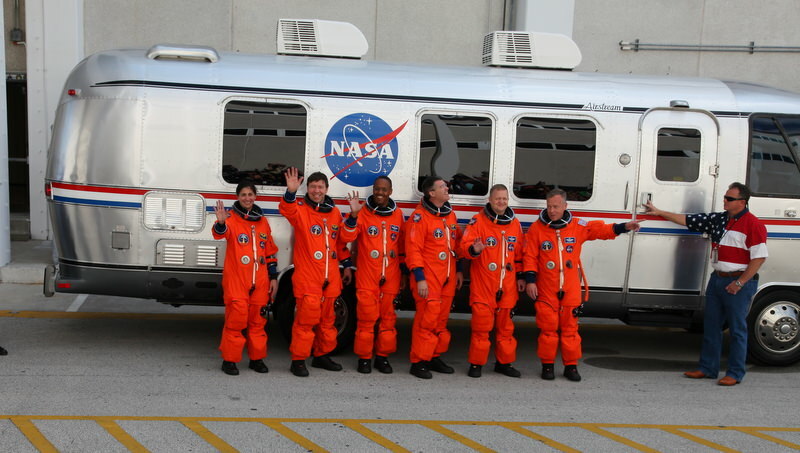 The STS-133 crew in front of the 'Astro Van' that brings them to the launchpad. Credit: Alan Walters (awaltersphoto.com) for Universe Today. Discovery bathed in lights after the RSS was retracted on Feb. 23, 2011. Credit: Alan Walters (awaltersphoto.com) for Universe Today. 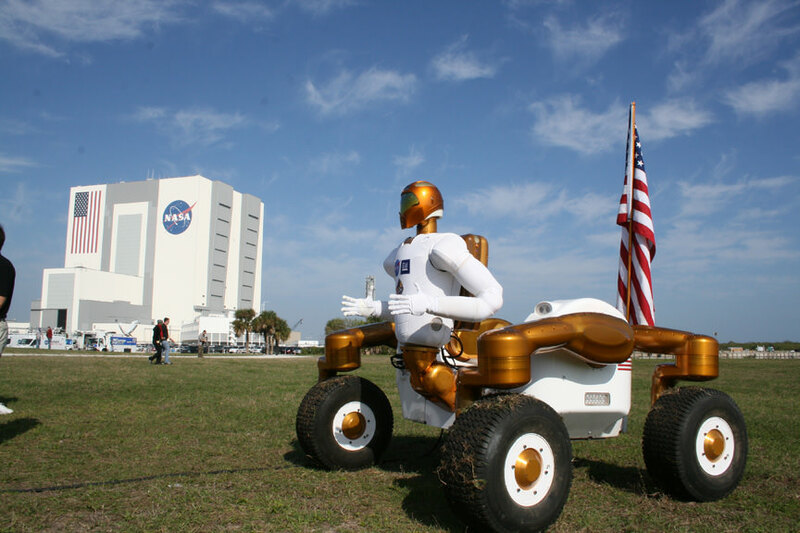 The crew of STS-133 stands in front of Discovery on the launchpad. Credit: Alan Walters (awaltersphoto.com) for Universe Today. The photo of the crew you’ve included is from sometime last year, as Tim Kopra is with them instead of Steve Bowen.